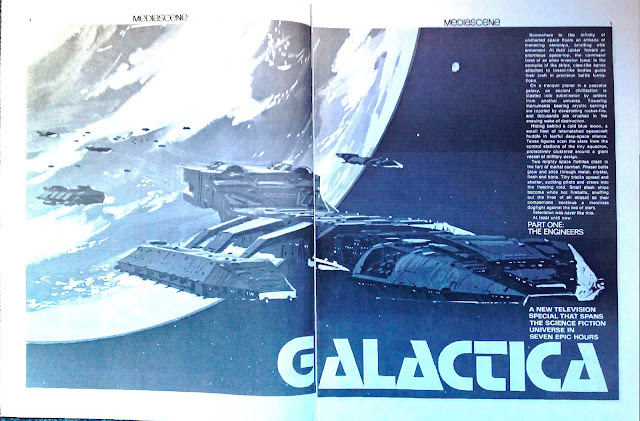 My MEDIASCENE post last week generated some positive feedback, it seems I'm not the only one excited to see this classy fanzine see the light of day again. I bought several key (to me) issues from the dealer at the time and - now I've figured out how to scan them with reasonable success - I will scan and post them when I can. 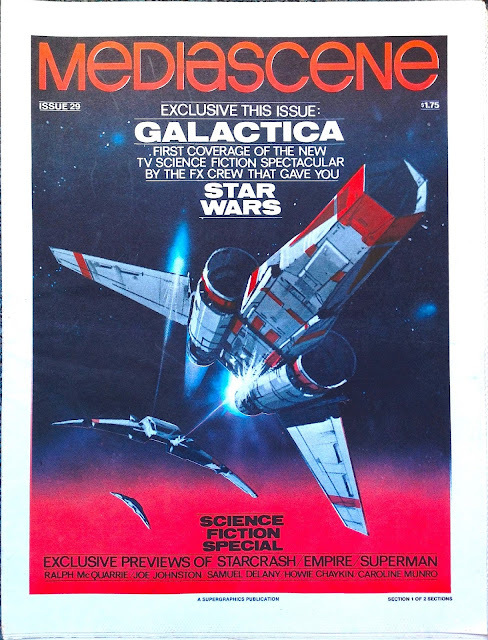 This BATTLESTAR GALACTICA edition wasn't one thats been requested (sods law) but, as a big fan of the show, it was a must-buy when i saw it in the stack. 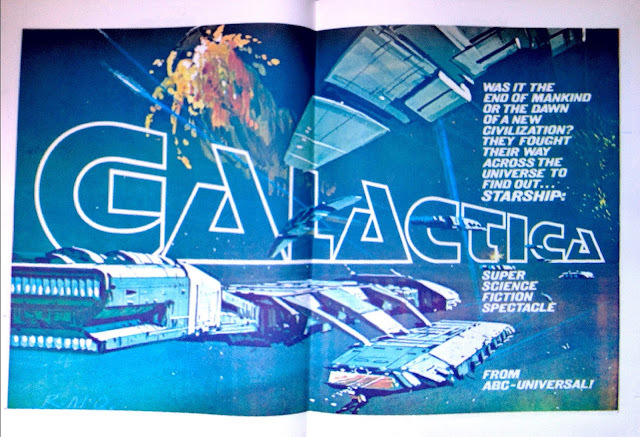 What i find interesting is that it was published at the beginning of 1978, before live-action shooting had even started on Saga of a Star World (this studio budget sheet reveals that filming, on the Universal lot, started on 8 March 1978 and was scheduled to run through to 17 April although I believe it actually overran its allotted days, not least because the original director was dismissed mid-shoot). That's how big Battlestar was, and how early the Universal hype machine kicked-in! 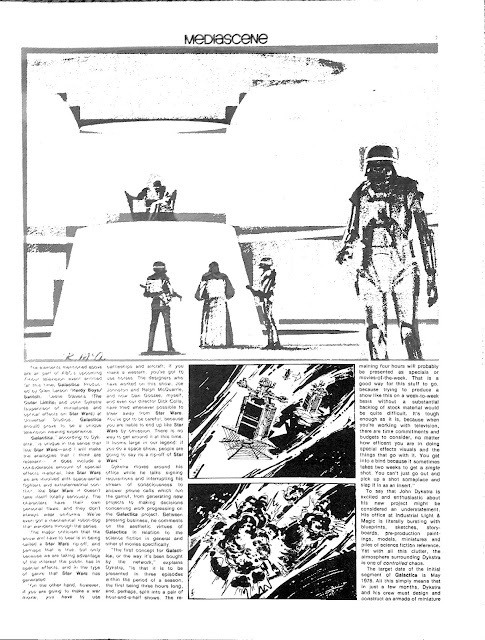 This article is packed full of really nice pre-production art, most of which is now pretty familiar because it was used so extensively at the time. 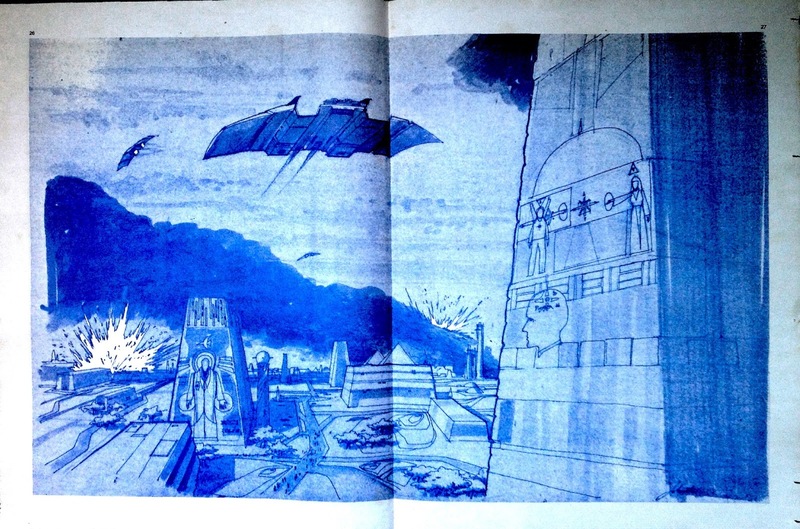 I'm less familiar with the alternate (slightly scary looking) Daggit design and the really nice two-page spread (remember, Mediascene was tabloid-sized) showing what I assume is the Raider strike on a far more Egyptian looking Caprica City (or - and this is unlikely - it was prepared for the Cylon attack on Kobol in Lost Planet of the Gods). 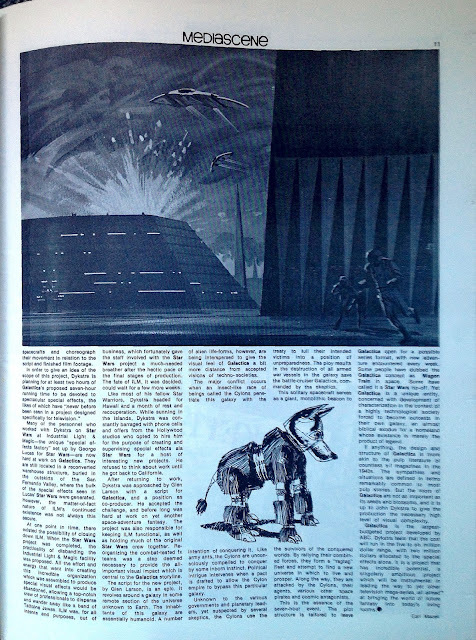 Jim Steranko still sells mint copies of many Comixscene/Mediascene/Prevue back issues at his website.